The year 2018 has been a big year for US Immigration policy. The Trump administration has re-worked several aspects of US immigration including the H-1B visa and has entered into a new trade agreement with Mexico and Canada. 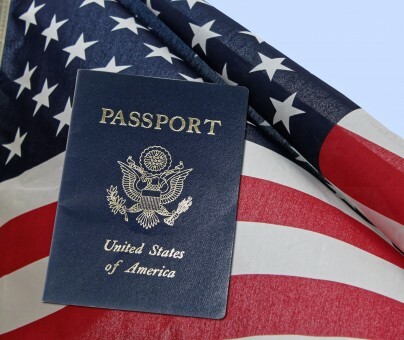 US immigration is becoming more challenging and 2019 could see more limitations on immigration emerging. Earlier this year, President Trump signed an executive order restricting access to H-1B visas. This move on the part of the administration was done in order to support Trump’s Buy American, Hire American initiative. The changes to the H-1B visa include revoking the right of the visa holder’s spouses ability to work in the United States. This move could put approximately 100,000 people out of work. It also directly affects the ability of companies to attract talented workers to the United States. The H-1B visa is a highly competitive visa. The 65,000 H-1B visa cap has already been reached for the 2019 fiscal year. There will be an additional 20,000 applications for those with advanced degrees. A new trade agreement, USMCA, between Mexico, the United States and Canada was unveiled in 2019. Although the trade deal has been re-branded it has not completely changed the immigration worked with NAFTA. It does not look as though this new trade deal will affect TN Visas. USMCA will still need to be ratified by Congress which likely will not happen until 2019. As a result, it is a topic to watch unfold in the coming months. The Trump administration announced in October, 2018 that it might introduce a change to the green card which would limit the green cards based on the use of government benefits. The change would greatly increase the amount of government benefits that can be used to disqualify an applicant. Unfortunately, at this time, there is not enough information to say exactly what will happen with this proposed change. However, if it is passed it will serve to limit immigration in 2019. The United States is a popular destination for international students. There have been a few changes to immigration policy surrounding student visas in 2018. One change is an update to a regulation (8 CFR 103.2 (b)(8) ) which allows the immigration office to have full discretion with application without needing to ask for any additional information from the applicant. This will primarily affect those seeking to obtain an F-1 student visa. There has also been a change to how long a student may remain in the United States after their program ends. A student can be an unlawful presence the day after their I-94 expires or the day after they chose to leave a course. In 2019, it will be important to demonstrate that you meet all of the requirements and that you have a properly submitted application. Additionally, with the stricter rules surrounding unlawful presence, students wishing to stay in the United States after graduation should begin looking at immigration options early. Immigration officers are now allowed to deny an application if there is any missing information. Before this change, officers were required to send a written notification to the applicant that there was an issue with their application. This change could affect you if you are trying to apply for immigration. It highlights the need to consult an immigration professional who can help ensure that your application is as complete as possible. Birthright citizenship refers to a type of citizenship granted to anyone born on US soil, regardless of their parents nationality. When the child that was granted Birthright citizenship turns 21, they can sponsor their parents or siblings to the United States. This is an issue that President Trump has spoken about frequently. He hopes to end Birthright citizenship. At the moment it is thought that the elimination of this right is unfeasible, as it is seen as an extension of the 14th Amendment, but Trump has threatened to sign an executive order ending it. This will be a topic to keep a close eye on in 2019. Are You Interested in Immigrating to the United States in 2019?